1. 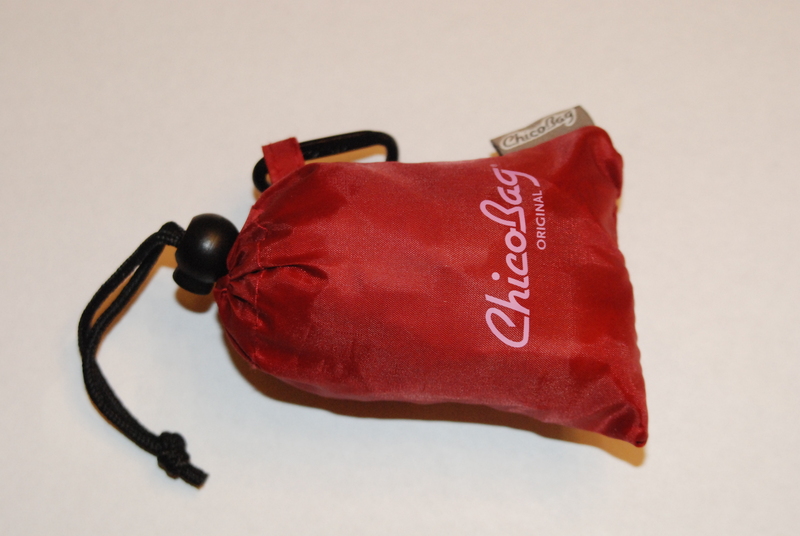 “ChicoBags” (reusable shopping tote bags) http://www.chicobag.com I bought mine on http://www.amazon.com and coincidentally found green and red ones on sale, how perfect is that! 2. 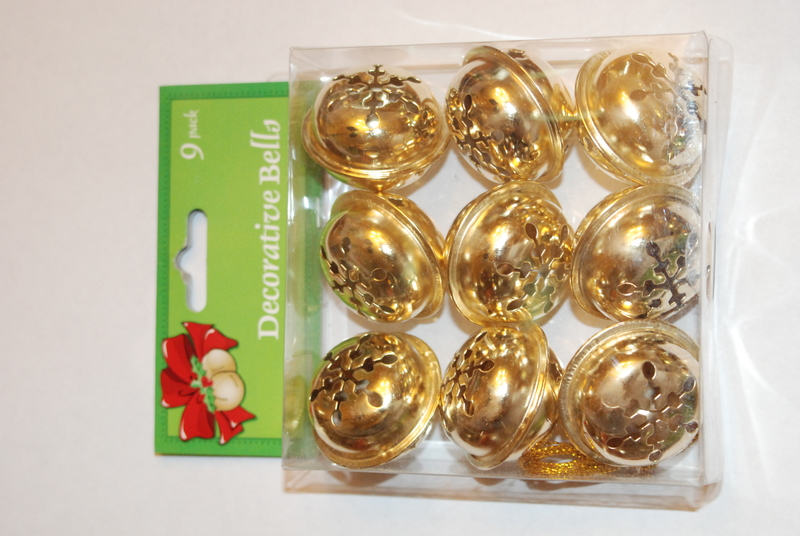 Gold jingle bells from the Dollar Tree. 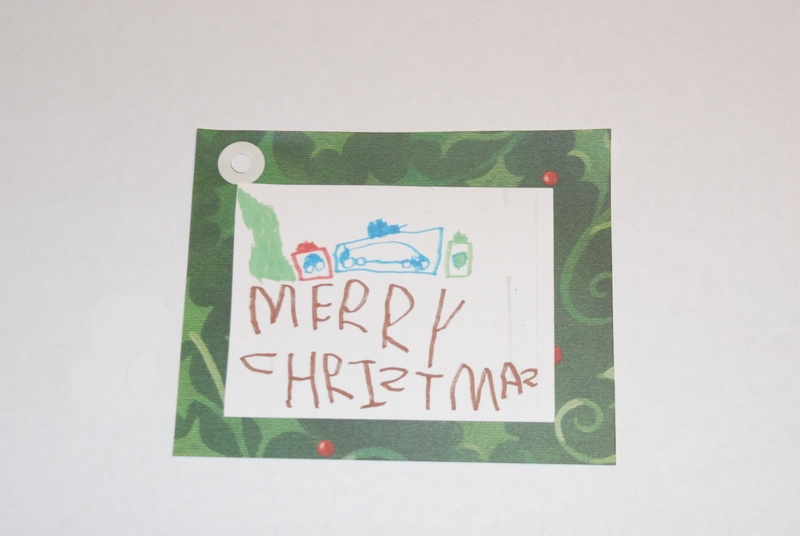 To add some Christmas cheer and Holiday Spirit! 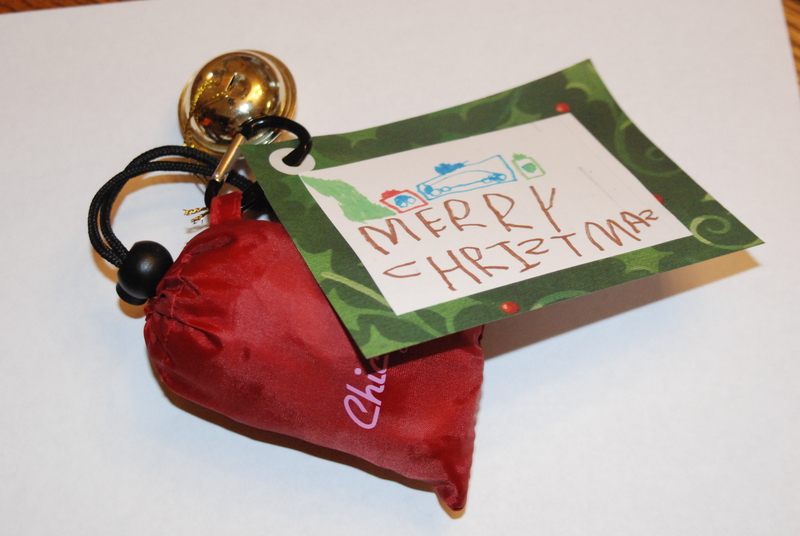 In conclusion, my husband’s co-workers got a kick out of Santa’s littlest helpers delivering gifts. 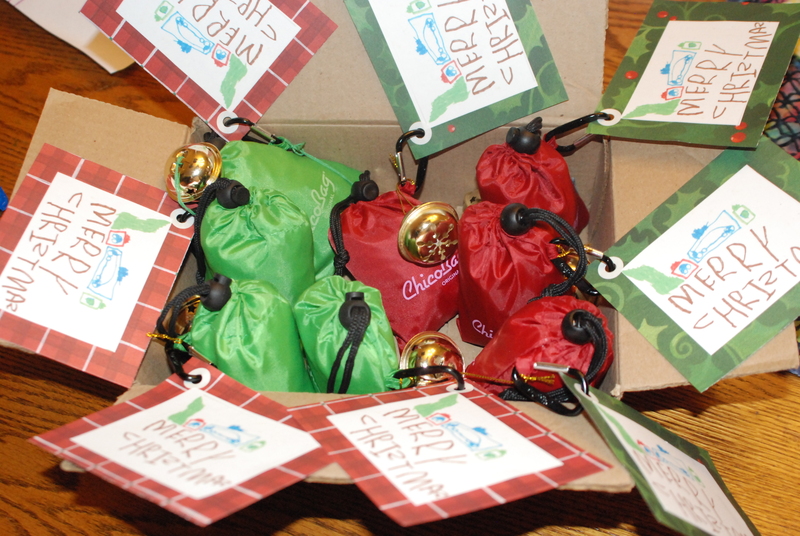 Snickerdoodle waltzed into the front door of the office carrying a box full of our little gifts and loudly exclaimed, “I have presents!” with a grin stretching from ear to ear. I was really glad that I was able to involve him in the act of giving gifts instead of just getting them! 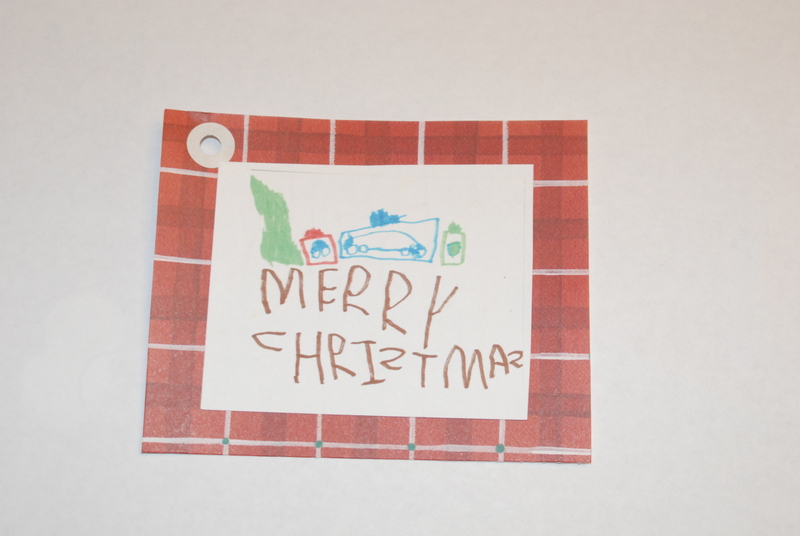 Most of recipients gave the little guy positive comments on the handmade art gift tags. He is really into being an artist right now and I wanted him to feel like he could use his new skill in a meaningful way to give back to others. 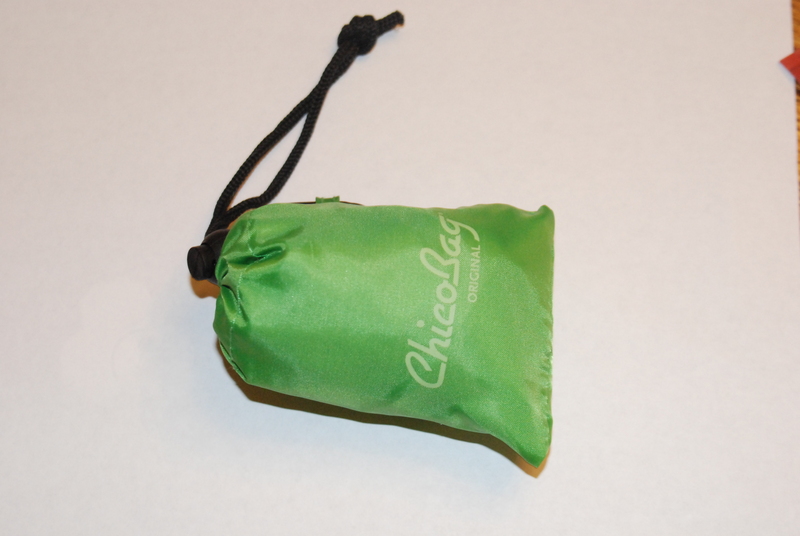 I think that the recipients also appreciated practicality and usefulness of the ChicoBags (they are a particularly earth-friendly and health conscious bunch so I couldn’t just get away with a few plates of homemade cookies! ).